Red wine, beetroot, cherry juice perhaps? 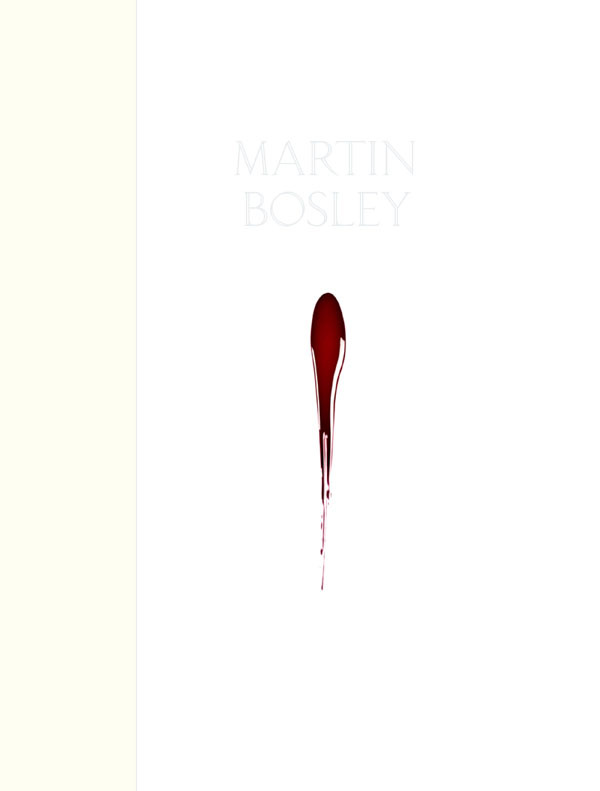 I’m not sure what it is exactly but there’s something rather thrilling about the dark red streak that bleeds down the front cover of Martin Bosley’s new book. It’s an apt beginning to a seriously beautiful publication. I’ve been raving about it since it was published back in November. Raving, and also floundering to find a way of describing something that’s as much an art book as a collection of recipes. The words ‘serious’ and ‘beautiful’ fit the bill. From the spare cover shot to the moody images of a steely-grey Wellington harbour and the maestro-posed portrait of Bosley himself, Jane Ussher’s photography sets the theme before we even come across a plated-food shot. And here’s the surprise – there are no plates. The food is photographed against a stark white or black background. Sometimes there’s just a single ingredient (the rock lobster tail is my favourite) and sometimes the image is an artistic arrangement illustrating a complex degustation-style dish. It’s all beautifully shot in an upfront style that’s matched by the integrity of the writing. I loved reading about Bosley’s idealistic beginings, his failures and successes, the dishes that worked and those that didn’t; the champagne days of Brasserie Flipp, the untimely death of his business partner and the launch of his eponymous Yacht Club restaurant – all of it honestly told with the wry humour of hindsight and the understanding that the chef is just part of a team that makes a restaurant sing. And so to the recipes. The first part of the book, dedicated to Brasserie Flipp, includes a collection that is very do-able. You may not want to smash up 1.6kg of fresh crabs to make the Italian fish soup but it’s not difficult. Those of us who remember the lamb shanks at Flipp will be glad of the recipe; even easier is one for squid rings that come straight from the packet. I used up all five of the book’s ribbon markers in this section alone. The recipes from the Yacht Club restaurant are more difficult. Some rely on powders and foam-inducing ingredients you’ll find hard to track down, some make use of cheffy-equipment like the pacojet, and others have several components that make them quite labour intensive. But those observations seem to miss the point, which is not necessarily to recreate the dish but to consider each recipe as an insight into the culinary artistry behind them. I was fascinated to learn how they were achieved. As a home cook I’m not likely to slavishly copy the more complex recipes in their entirety but I will steal a few component parts and add them to my repertoire. Having said that, I did wow my family on Christmas Day with Plum-cured Salmon, Mandarin-fennel Slaw, Green Olive Paste and Green Olive Vinaigrette. Page 91. It was fabulous. The book is a winner in the NZ category of the Gourmand World Cookbook Awards 2010 for Best Chef Book. it now qualifies for inclusion in the international awards to be announced in March 2011. What a great review Anna! I agree with you, it’s absolutely beautiful and deserves the awards – it’s totally aspirational and inspiring. Happy New Year!